Wholesale Supplier of a wide range of products which include banana wafer machine, potato slicer machine, 10 kg potato peeler machine, 15 kg potato peeler machine and finger chips machines. 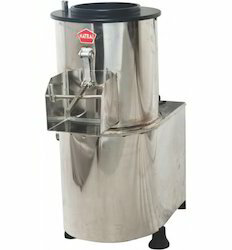 The Natraj Banana Wafer Machine is the perfect kitchen equipment for making banana chips. It can handle heavy loads. It eases the work in a commercial scale kitchen by providing accurate size of banana wafers. In commercial kitchens efficient use of time and labour will save you money. Potato peeling is a time taking and labour intensive work. 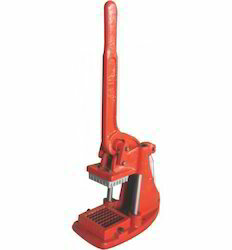 But with Natraj Potato Peeler, your task becomes easy. Large quantities of potatoes can be peeled at any given time. It has a separate outlet for removing the peeled off skin. Thus, there is no mixture of wastage in the output material. 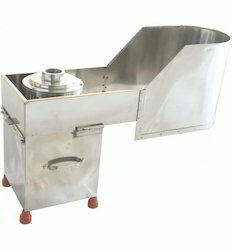 The Natraj Finger Chips Machine is manually operated machine. It comes with three types of cutters. The cut pieces will be equally sized.